Angel Time was written by one of my all-time favourite authors Anne Rice. Published in October 2009; a copy found its way under the Christmas tree last year thanks to a thoughtful relative. Since then I've been admiring it on my bookshelf and trying to prolong the gratification for as long as I can. However; with the release of the second book in this new series, I thought I had waited long enough and plunged into this long awaited novel with high hopes and expectation. The book opens with the character of Toby, a hired assassin who has a painful past. The reader is given a glimpse into this past, and we are shown how Toby reached the point of becoming a killer for hire. One night - after another assassination by needle - Toby is approached by an Angel named Malchiah, and given a chance to redeem himself and leave evil behind for good. 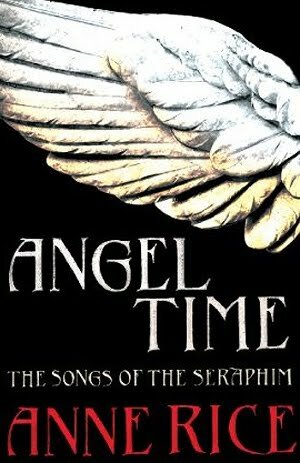 Toby agrees to help Malchiah in his duties on earth, and is taken by Angel Time to 13th Century England where he must protect the lives of two Jewish people under threat from an angry mob. I thoroughly enjoyed this book, and it met all of my expectations. The book contains her much loved themes of love, hate, good and evil, as well as faith, religion and God. Having read Anne Rice's book Called out of Darkness - A Spiritual Confession, I can see the themes of faith and religion echoed quite closely in the character Toby. She has obviously drawn on her own experiences and life journey when plotting the series. 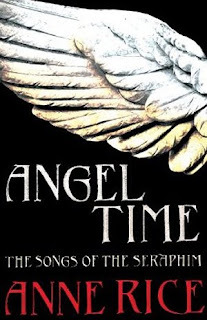 The series is called The Songs of the Seraphim, and the next book is called Of Love and Evil, and continues with Toby and Malchiah as they head to Rome for his next 'assignment'. Fortunately I've just purchased this one, and it's waiting expectantly on my bookshelf just waiting to be seized. Trace, PLEASE stop reviewing books that I then HAVE to put on my to read pile! Ooops, sorry about that, lol! How many do you have on your 'To Be Read' pile or list? My TBR list has 43 books, and if I don't add any more I should be able to get through them all by end 2011.